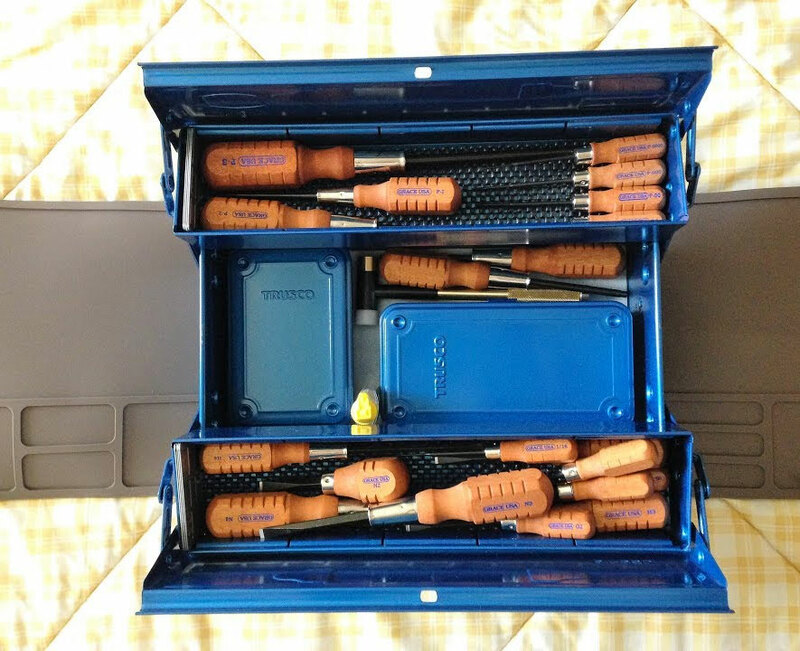 Normally if my, uh, toolbox turns blue I am not pleased. Not pleased at all. 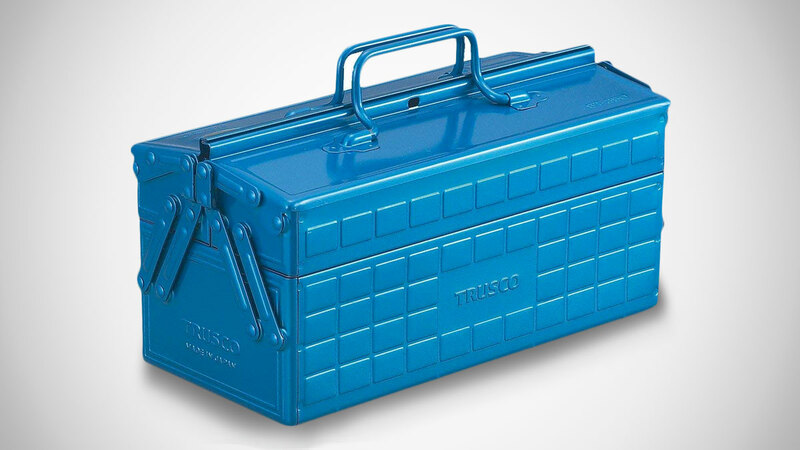 But if we're talking Japanese brand Trusco's blue toolbox, well, I can turn that frown of malaise upside down. 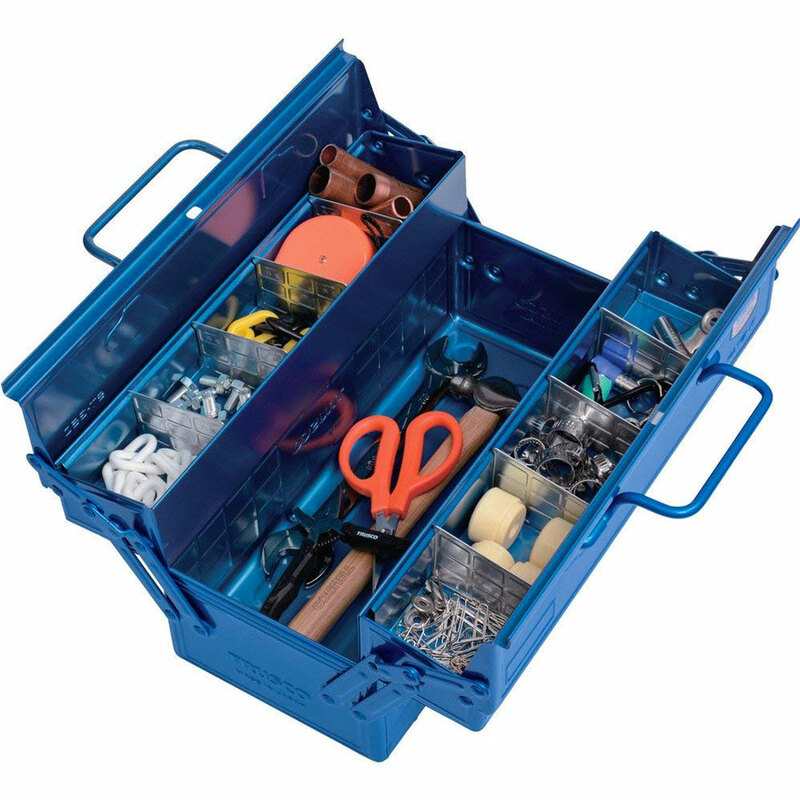 Obviously the most standout feature of this Trusco 2-level toolbox is its unabashed blueness. Next to the color though, the tool toter is simple in appearance and design. Its hinged top doors open outward to reveal a large internal storage base, plus the additional level of cubbies for smaller implements and hardware built into the doors.